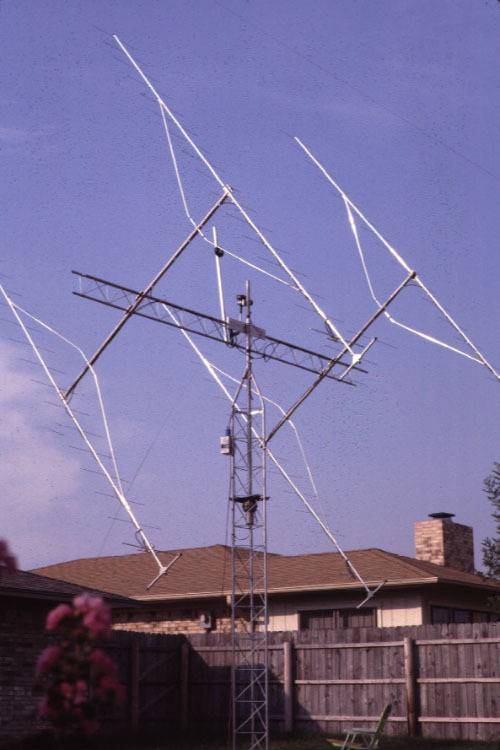 John Warren NT5C made many Recordings of amateur radio stations when he was an SWL. These are recordings of amateur radio operators dating back to 1967. Hear KH6IJ, XV5AC, CT4AT, ZD8Z and many others. John Devorcek KE5C recorded some of the stations he worked in the 1982 ARRL EME contest. John's station consisted of four Cushcraft yagis and his amplifier had a pair of 4CX250R tubes. W8JI Stereo recordings on 160 meters. W8JI made some 'stereo' recordings of signals on 160 meters from his very fine station. To find out more about W8JI and his station be sure to check out his web site. Check out this mixture of recordings I have collected over the years from various sources. They include a very big Japanese pileup, WA4D, W5LFL operating from the space shuttle Columbia and more. K8YSE's Classic Audio Clips Page K8YSE has audio clips of V31BB, W2NQ/7 and WA4D. WA5IYX's 50 Mhz page WA5IYX has recordings of some hams via F2 on 50Mhz. Pat has a recording of G3FXB on 50Mhz from 1989. You can find the Ham radio recordings here. N1BUG's ham radio page has some recordings of various VHF/UHF propagation modes such as EME. © 1997-2008 George Fremin III - K5TR.